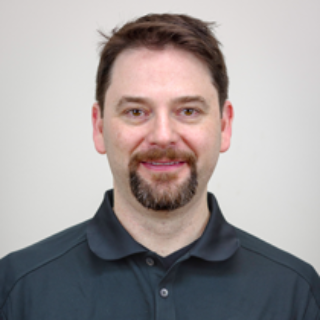 John Warren is the Lead Prosthetist & Practice Manager at Medical Center Orthotics and Prosthetics (MCOP) Boston. John comes from a military family, but it was something much more unexpected that inspired him to dedicate his life to helping amputees. In 1993, John was a SCUBA diving instructor when a SCUBA tank exploded, resulting in the amputation of his right leg. After a succession of positive and negative experiences with prosthetists over the years, John’s desire to make a difference for amputees culminated in a degree from UT Southwestern Medical Center, where he focused his studies on prosthetics and became the first resident in prosthetics at the facility. Born in New Mexico and a traveler of the world, John first settled in Massachusetts in 2004, around the same time as the inception of the Iraq War. In response to the numerous injuries resulting from this conflict, Walter Reed Army Medical Center began recruiting and hiring prosthetists, and John accepted a position as a Prosthesis Technology Specialist two years later. During his time at Walter Reed, John was chosen as a presenter for multiple international rehabilitation conferences, and received a medal from the US Government for his work. He also became familiar with MCOP during this tenure (MCOP had been the exclusive lower-limb prosthetic clinical contractor to the Department of Defense since 2005), although it wasn’t until years later that he joined the MCOP team. After six years with Walter Reed, John accepted an offer from Bionix – previously known as iWalk – to be their regional clinical manager responsible for supporting the sales and development of the revolutionary BiOM-powered prosthetic ankle across the Northeast and Upper Midwest regions. This role allowed John to move back to the Boston area, and was where he worked until joining MCOP Boston in 2015. Today, as the Lead Prosthetist & Practice Manager for MCOP Boston, John focuses on helping amputees of all backgrounds and mobility levels to Move Forward with advanced lower limb prosthetics and personalized clinical care. John especially enjoys building unique, custom sports prosthetics, and has built prosthetics for scuba diving, biking, running, mountaineering, and more over the years. His personal interests in sports continue to fuel his passion for helping other amputees enjoy active pursuits once again. When not at work, John resides in West Roxbury, MA with his wife, Allie, and his son, Jason, and enjoys getting outdoors, running, skiing, and cooking.